The Toronto Non-GMO Coalition is a group of organizations from the Toronto area who are working together to increase awareness and effect positive change around GMO issues. Our efforts are focused on providing information to the public on health, environment & ethical issues surrounding genetically modified organisms and on organizing events to bring attention to these concerns. Member groups have different concentrations, but share the same larger vision of a Canada without genetically modified food. Each group works to provide particular skills and knowledge to support the others in their particular concentrations. Collectively, we seek to effecting change in the Canadian consumer, political and social landscape with respect to GMO issues. The Toronto Seed Library, a growing cooperative of individuals and organizations, seed savers, gardeners, farmers, educators, librarians, policy makers and food lovers of all varieties are creating a free, self-perpetuating seed library system. Founded by 17-yr-old environment and safe food activist Rachel Parent, the Kids Right To Know non-profit organization was founded on the belief that we have the “Right to Know” what’s in our food, helping to create mass awareness about the risks of GMOs and to push for their mandatory labeling. Follow us at www.kidsrighttoknow.com, on Facebook at https://www.facebook.com/KidsRightToKnow/, on Twitter at @RachelsNews, Instagram @rachels_news and @kidsrighttoknoworg. 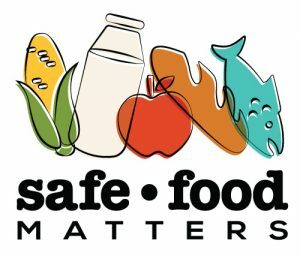 Safe Food Matters’ mission is to promote public health and protect the environment, through educating and fostering public understanding and engagement on the safety of food production technologies, as well as providing events and collecting, communicating and disseminating information. Follow us at www.SafeFoodMatters.org, on Facebook at https://www.facebook.com/safefoodmatters/ and on Twitter at @safefoodtech.